Using the international spotlight of the Integrated Systems Europe (ISE) 2018 show in Amsterdam in February, Datapath will be demonstrating its Quant application-sharing software. 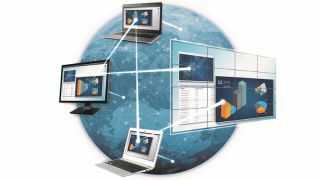 Designed for video wall users working in collaborative business environments, Quant’s unique capabilities allow users to view and share application windows, as well as interact and make changes to original source files. Offering cross-market appeal, the new Quant software has been designed to work in conjunction with Datapath’s WallControl 10 software. With its secure sharing structure, this enables Quant to be equally suitable for Command & Control rooms as it is for classrooms and boardrooms. Datapath’s ISE stand — #11-B120 — will offer two significant demonstration areas that bring applications such as Boardroom and Command & Control to life. The company will also have an impressive scatter wall showcasing the Fx4 creative signage solution (around a central meeting room), with demonstrations of the Datapath Wall Designer software. Datapath invites ISE attendees for a drinks reception on Wednesday, February 7th, 2018, from 16:30-18:30 (4:30pm-6:30pm), at ISE stand #11-B120. Meet the Datapath team and demo new products while enjoying refreshments and canapés. Visit www.datapath.co.uk to learn more.